"You're Not Allowed To Take Photos In Whole Foods"
That's what we were told, when we couldn't resist the photogenicity of the produce display. Why? 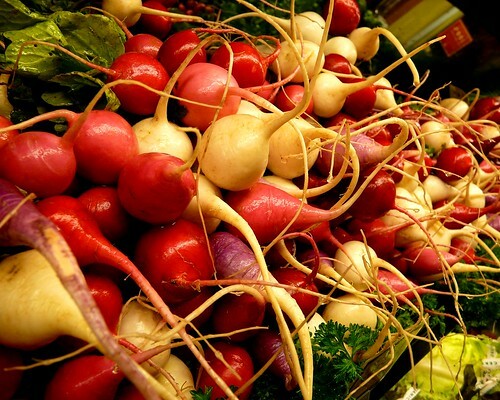 Are the radishes copyrighted? Anyway, I wasn't supposed to take this photo.